Something so simple, but I never tried it before last week! 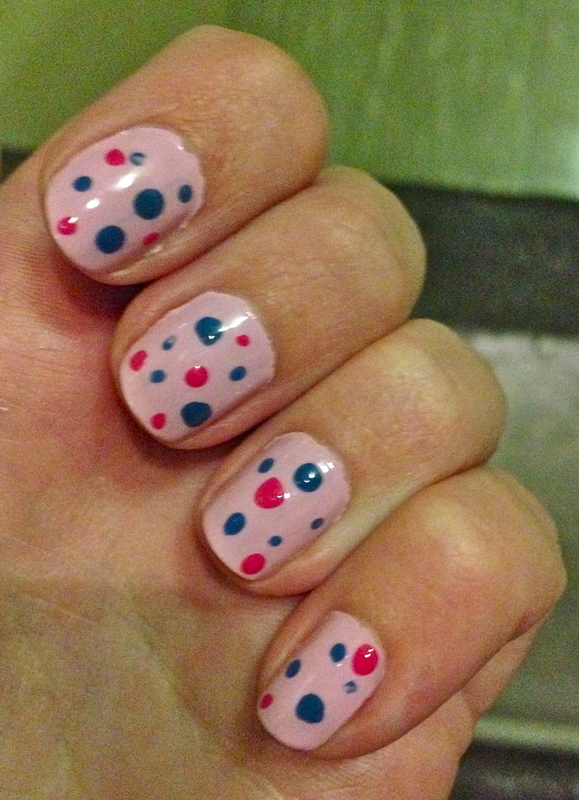 Here’s pictures of my first ever polka dot manicure. Again, it inspired some of my ballroom girls to try the look out for themselves! Sadly, mine only lasted about two days. I need to find a new base coat…suggestions?